Call Today for Our Best Rates! The Sea Breeze Inn is a family owned and operated boutique hotel located in Middletown Rhode Island. The hotel originally opened in 1995. In 2015 the hotel underwent a ground-up renovation, re-opening in 2017 and now includes 16 professionally designed rooms and suites overlooking the Atlantic Ocean and Easton’s Pond. 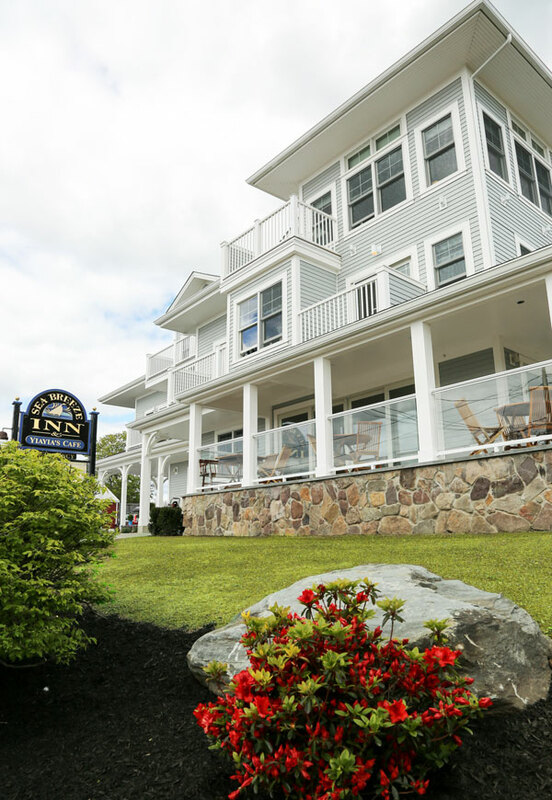 Conveniently located in the Atlantic Beach neighborhood, The Sea Breeze Inn overlooks both Newport’s Easton’s Beach (First beach) and Easton’s pond and is just minutes to downtown Newport, RI. Rooms boast private balconies with views of the beach and pond, each individually designed with unique features and accents. An on-site café provides complimentary made-to-order breakfast to all guests every morning which is included in the price of the stay. 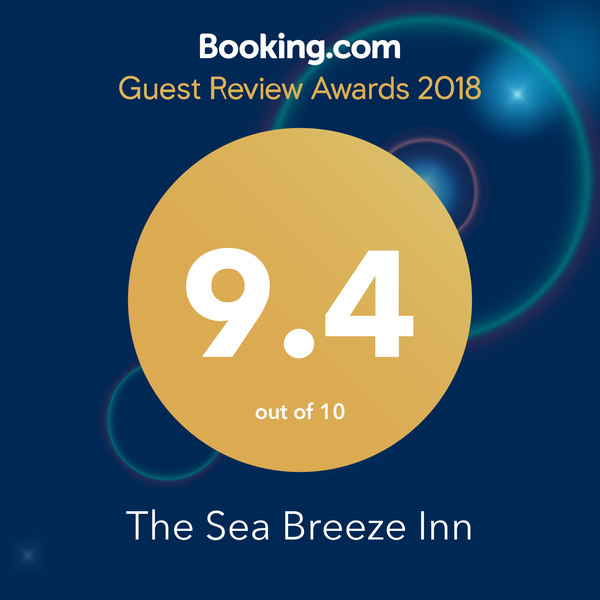 The Sea Breeze Inn has received over 100 positive reviews online and has a 9.5/10 "Exceptional" review score on Booking.com and also a perfect 5/5 rating on TripAdvisor.com, making the boutique hotel one of the top rated hotels in Newport County! Yia Yia's Café is our on-site restaurant where we serve breakfast and lunch every day from 8am to 6pm. The cafe is open to the public but if you are staying with us then a full, made-to-order breakfast is always included with your stay. Menu items include traditional breakfast and lunch options including pancakes, eggs, sanwiches and muffins. Yia Yia's also offers authentic Greek dishes and desserts. The cafe is also available for private functions and events. Please contact us for more information. Telly and Leeza Amarant own and operate The Sea Breeze Inn. In 1991, shortly after moving to Newport County, they purchased an old, two-bedroom colonial and transformed it into what is now The Sea Breeze Inn. Over the years, Telly and Leeza have hosted guests from around the world, always welcoming them just as they would family, making the Inn a true "home away from home" for many. 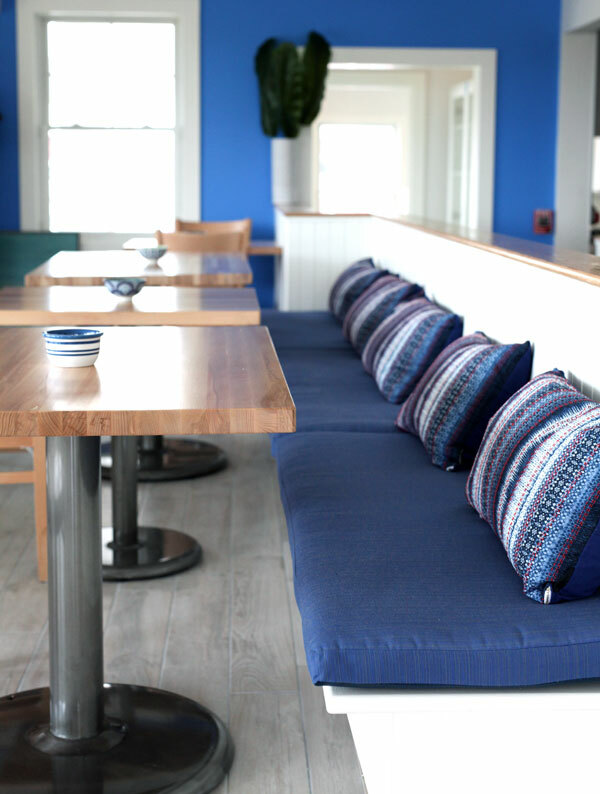 Twenty-five years later, Telly and Leeza have now completed their vision by expanding, remodeling, and re-designing The Sea Breeze Inn, all in an effort to continue to provide a comfortable place where guests from around the world can visit, relax and enjoy beautiful Newport, Rhode Island.